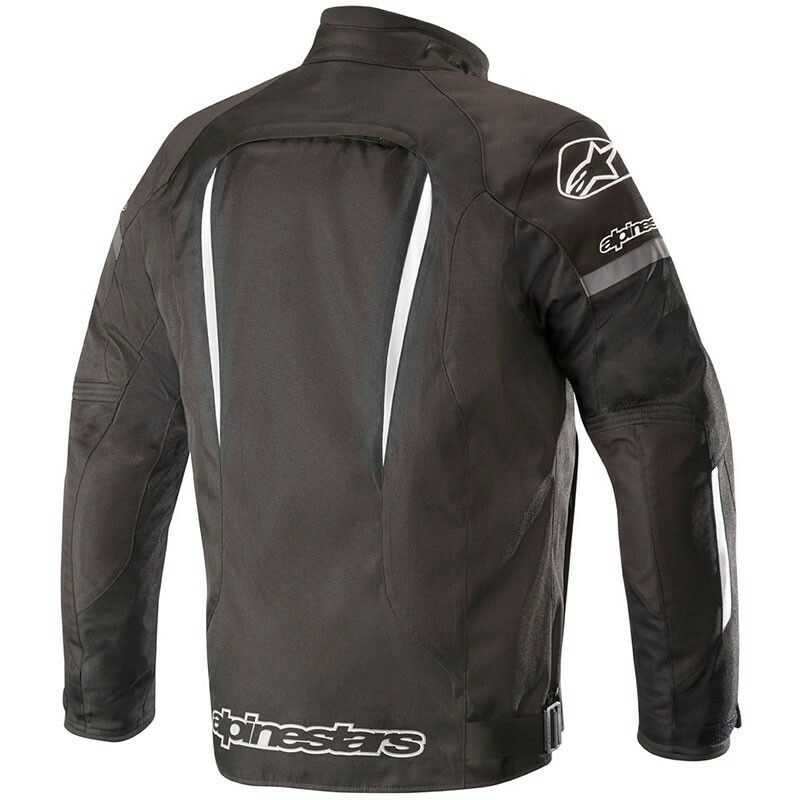 Alpinestars is proud to present you his homologated waterproof moto textil jacket for man the Gunner V2 Waterproof. Multi-fabric shell construction with abrasion resistant material inserts. Removable long-sleeve thermal micro polar fleece liner (100g body; 80g sleeves) collar ensures comfort on hot or cold days. Waist adjustment for improved riding fit that can be customized to rider’s needs. Multiple volume adjusters on sleeves ensures close, secure fit. Low profile collar construction with 3D textured comfort fabric on inner collar lining. Pre-curved sleeve construction reduces fatigue. Level 1 CE-certified Bio Armor shoulders and elbow protectors. Chest pad and back compartments (Alpinestars Level 1 CE-certified Nucleon chest and Level 2 CE-certified Nucleon back inserts available as accessory upgrade). Two zippered hand pockets for safe and secure storage of small items, plus front inner waterproof pocket. Zippered air intake and exhaust vents are strategically positioned for optimized airflow when opened. Waterproof and breathable lining for guaranteed weather protection and comfort.